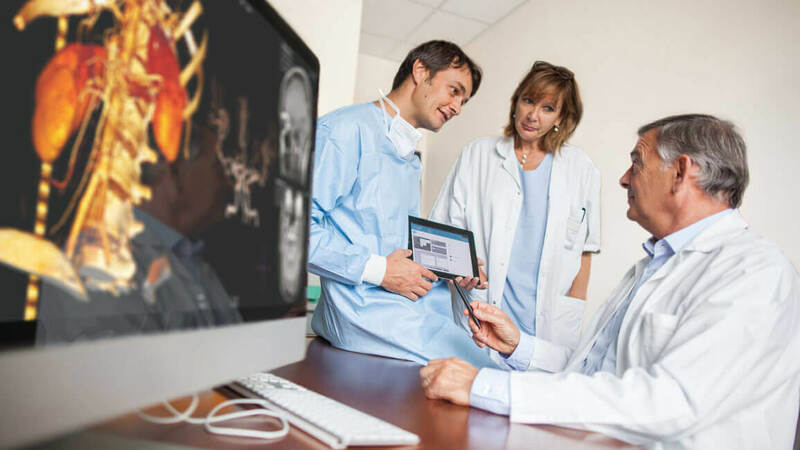 As first telemedicine editor and operator in France, ACETIAM has the ability to guide you and support you through the choice and integration of the most adapted medical imaging solution to your working environment. Joining our network of healthcare facilities, is a guarantee to improve your patient care and to insure the monitoring of your medical activity. You are a physician specialized in a precise domain, ACETIAM provides you an access to all telemedicine services needed for the exchanges of medical images in your field of expertise. Real time, secure and connected solutions from ACETIAM provide a great flexibility for healthcare professionals in their daily activity. ACETIAM telemedicine offer enable to overcome daily department issues and to preserve a medical activity as much as the healthcare duty. ACETIAM offers a group of flexible services, evovling with you through the changes happening in your medical activity over time. Today ACETIAM is the first telemedicine network with more than 400 care facilities and 2 000 connected physicians thanks to ACETIAM-Connect.